Woman threatened father of Jewish 6 year old killed in 2012 massacre at Sandy Hook Elementary School. 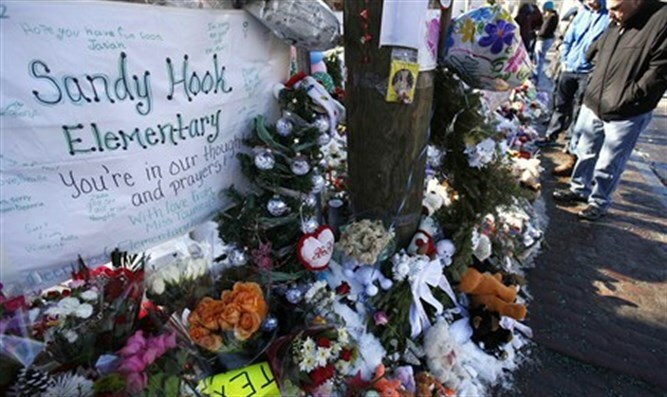 JTA - A Florida woman who pleaded guilty to threatening the father of a victim of the 2012 Sandy Hook Elementary School massacre in Connecticut, reported to be the father of Jewish student Noah Pozner, was sentenced to prison. Lucy Richards believes the massacre, which killed 20 children and six staff members, never happened, which prosecutors say led her to make the threat to Lenny Pozner. Richards made a series of death threats reportedly to Pozner until her arrest in December 2016, the U.S. Attorney’s Office for Southern District of Florida said at the time of her arrest. Richards called the parent on the phone and said: “You gonna die, death is coming to you real soon,” according to the federal indictment, which did not identify Pozner, though local media did identify him. Richards pleaded guilty in January and was sentenced on Wednesday to five months in prison. Noah Pozner, 6, was the youngest victim of the December 2012 massacre. Twenty children and six school employees were killed when Adam Lanza, 20, forced his way into the school building and opened fire. Lanza killed himself at the school, and killed his mother in their home prior to the school attack. A Florida Atlantic University professor, James Tracy, was fired in 2013 after writing on his personal blog that Sandy Hook was a hoax and sending the Pozners a certified letter demanding proof that Noah once lived and that they were his parents, and that they owned the rights to family photographs of Noah published after his death.